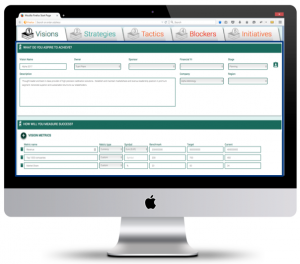 Stakeholder Management Software - Define Priorities & Align Deliverables. For business improvement projects, the ability to effectively engage with stakeholders to define clear priorities, align deliverables, and drive adoption are extremely important. In fact, it is the 20% that contributes to 80% of project success. For project managers, this means having a clear understanding of who stakeholders are, the goals they are trying to achieve, and key challenges preventing them from executing. This allows you to focus efforts and resources on solving the right problems. But those who have managed large projects know, stakeholder management is easier said than done. The Problem: two sides of the same coin. Many project teams do not have a clear understanding of what stakeholders are trying to achieve and key blockers preventing them from executing. On the other hand, stakeholders do not communicate this information clearly. In addition, different stakeholders communicate in different ways, and there is not a central place to document and manage this information. Effectively communicating and capturing clear strategic priorities and pains. 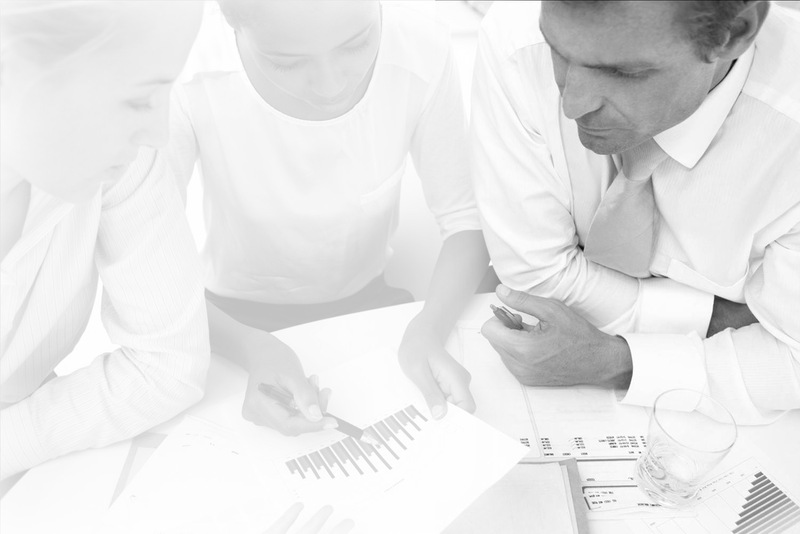 Effectively validating and ensuring project alignment. Efficiently communicating this information with extended team members to keep focus on priorities, drive change and user acceptance. Continuously updating and validating, because priorities, requirements, and stakeholders change. of project teams are out-of-sync with stakeholders and uncertain about objectives. Technology and implementation contribute less than 14% to project success. Projects deliver less than 65% of promised value. of CIOs feel that projects are doomed from the start due to vague definition of project objectives and understanding of stakeholders’ goals. 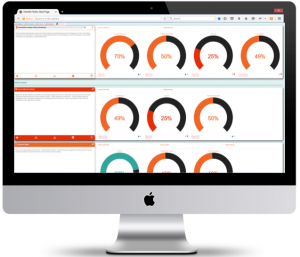 Compass is a web-application, embedded with best-practice method, to help you and your stakeholders collaboratively define strategic priorities, ensure project alignment, and track progress. Establish a common “language” to improve efficient and effective collaboration. Structured, logical, and easy to implement framework. 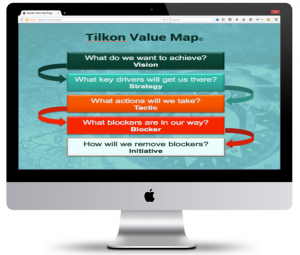 Define clear strategic priorities and key blockers preventing execution. Improves critical thinking and depth of understanding. 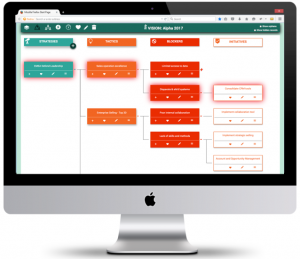 Easily define and visualize strategic priorities and execution plan. Efficiently and effectively, communicate and validate understanding. Highlight potential gap in understanding or lack of information. Agile and collaborative process improves alignment, engagement, sponsorship, and buy-in. Define success metrics and track progress. Keep strategic priorities in focus. Web application optimized for mobile devices.